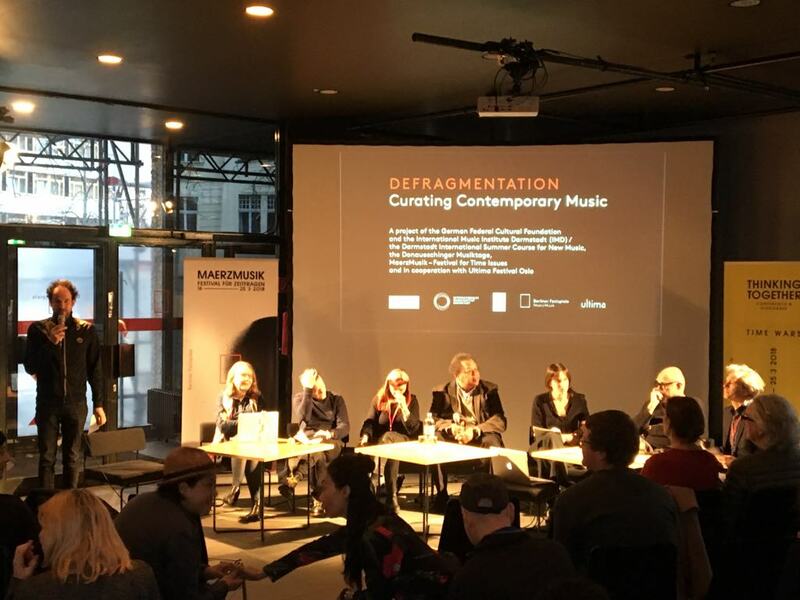 Defragmentation – Curating Contemporary Music is a research project aimed at enduringly establishing the debates currently ongoing in many disciplines on gender & diversity, decolonization and technological change in institutions of New Music, as well as discussing curatorial practices in this field. Supported by the German Federal Cultural Foundation, the research is being jointly initiated by the Darmstadt Summer Course, Donaueschingen Festival and MaerzMusik – Festival für Zeitfragen and in cooperation with the Ultima Festival Oslo. A key goal is to accelerate structural and habitual change with respect to these interlinked thematic areas and develop better practices. Each of the festivals seeks to achieve this goal in its own way in collaboration with artists, researchers and curators from various fields, and subsequently shares the results of the process adopted. On the basis of this (self-)critical yet generative approach the project seeks to act as a catalyst and, through its cooperation with four renowned festivals, ensure continuity and a high profile. A project of the German Federal Cultural Foundation and the International Music Institute Darmstadt (IMD) / the Darmstadt International Summer Course for New Music, the Donaueschinger Musiktage, of MaerzMusik – Festival for Time Issues and in cooperation with the Ultima Festival Oslo.